Zaragoza-based Pedro Lacambra selects investment funds for Ibercaja Gestión, which manages €10bn in funds, including €75m under a Sicav structure and €4.2bn in pension funds. Ibercaja Gestión has €600m invested in third party Ucits funds, which are selected by Lacambra, who is also equity portfolio manager within a team of ten people – six for equities and four for fixed income – led by investment director Óscar del Diego. The dual role of Lacambra, as an asset manager and fund selector, is a competitive advantage in the investment process, he argues, as it offers a position from which to assess if asset allocation is aligned with the fund strategy. “We stand out from any other fund selection house as we are active fund managers and we know the companies in which the funds we select invest. This is a great value-add because we know whether the strategy of these companies is in line with what the sales executive of a fund says,” Lacambra notes. Third party funds used by the asset manager of Ibercaja are then offered to the bank’s retail clients within funds of the asset manager in an open “guided” architecture. “We have an investment committee and we decide which regime and sectors are more attractive to invest in and, based on that, we choose various funds for our funds. We offer highly diversified funds,” Lacambra says. The selection process starts at a quantitative level, in order to narrow down “a huge universe of funds” available, Lacambra explains. After checking that the fund is consistent and has good ratings according to tools such as Allfunds’ research or Morningstar ratings, the selection team goes through a qualitative phase. “We do quite a lot of qualitative analysis and we see it as a vital aspect of the selection. We have meetings, and study the fund manager and his philosophy, to see if it matches with ours, how he invests and the strategies used. If we trust the fund manager we tend to have a long-term relationship with the manager,” Lacambra says. Almost all the funds selected by Ibercaja Gestión are held long-term as the team “invests a lot of time in reviewing them”. 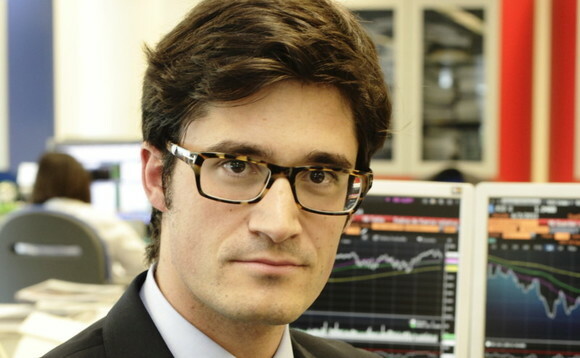 “We only change funds when we need to rotate the asset allocation,” Lacambra notes. “If a manager is not consistent with his strategy, I don’t trust him anymore,” Lacambra says. The size of the fund is important when it comes to selecting funds, but even more relevant is the asset management firm itself. “If we see an interesting fund from an asset manager providing market, credit and liquidity risk controls; financial risk management; independence between divisions; compliance requirements; which has an external auditor and good ratings … even if the fund is small, it is investible,” Lacambra says. “We don’t care much if the fund is large or small, but a track record of about three years is important,” he adds. The exit of a fund manager is a clear red flag, which means that his fund would be automatically put in under review. “The figure of the manager is very important indeed. If a fund manager leaves, it is a problem but you have to know how to distinguish between different cases. Many international asset managers have a flagship manager, but behind him there is a very large team,” Lacambra concludes.